10 days left until the end of October! That means the end of Inktober also! Thank you for joining me in my Sojourn of Septillion Steps for this project of combining drawings for Inktober and researching martial arts/self-defense. Early in my Inktober drawings I had no focus/theme. Then I was going to attend a Terry Trahan knifefighting seminar and I had an "Ah ha!" moment. Since then, I've been drawing pictures related to knifefighting. 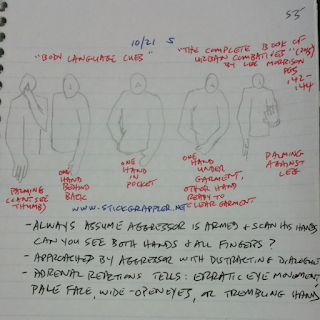 Continuing my research/studies of "tells"/"PINs" (Pre-INcident indicators) today with a picture of some common body language cues taught by Lee Morrison of Urban Combatives. 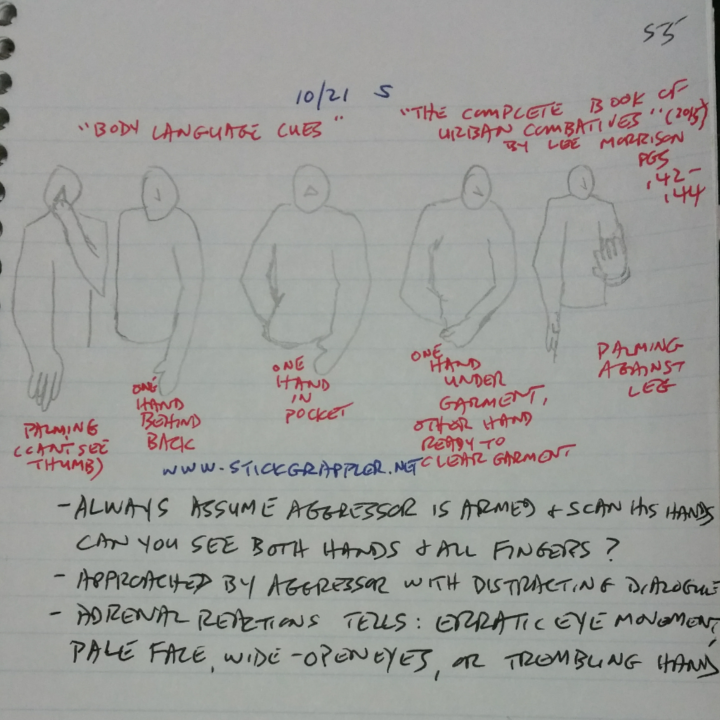 Always assume aggressor is armed and scan his hands. Can you see both hands and all fingers? Learn to recognize these Pre-Assault Cues! Now you know, and knowing is half the battle! !